Before Nicolas Cage’s Red Miller character ends up taking a “supernatural drug” in Mandy, the actor likened his fighting ability to that of a feral cat. But, that doesn’t last for long as the drug takes hold. 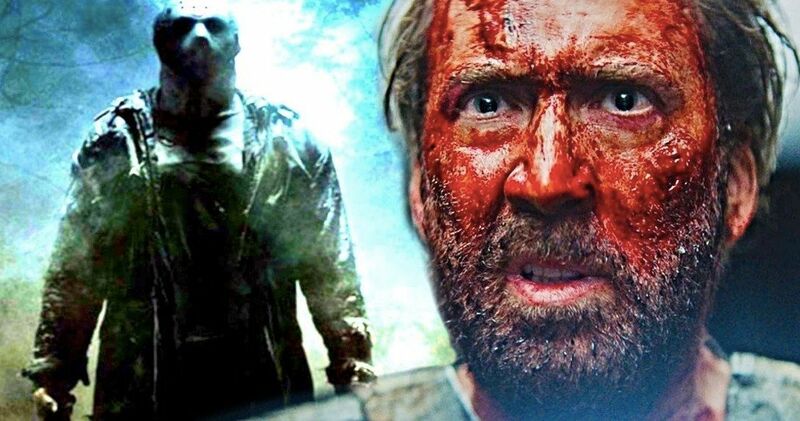 It’s here that Nicolas Cage says Jason Voorhees from Friday the 13th came into play, which he attributes to director Panos Cosmato. Cage had this to say about the drug’s effects on his Red Miller character and where the Voorhees influence helped. It appears that the supernatural drug in Mandy that Red Miller takes unlocks something within him that allows him to become a stalking silent murderer, much like Jason Voorhees, except for the choice of victims. Jason normally prefers teenagers, while Miller is out hunting for a religious sect and drug-fueled bikers with an axe, along with other weapons. Nicolas Cage is no stranger to going over-the-top for a role, but in Mandy, he’s absolutely unhinged. To make matters even more interesting, Nicolas Cage was recovering from a broken ankle when production on Mandy started. The actor says that he didn’t want to lose the part, so he dove head first into the project, which he claims was a form of rehabilitation for his ankle. Cage says that the stunt work helped with his recovery. He explains.